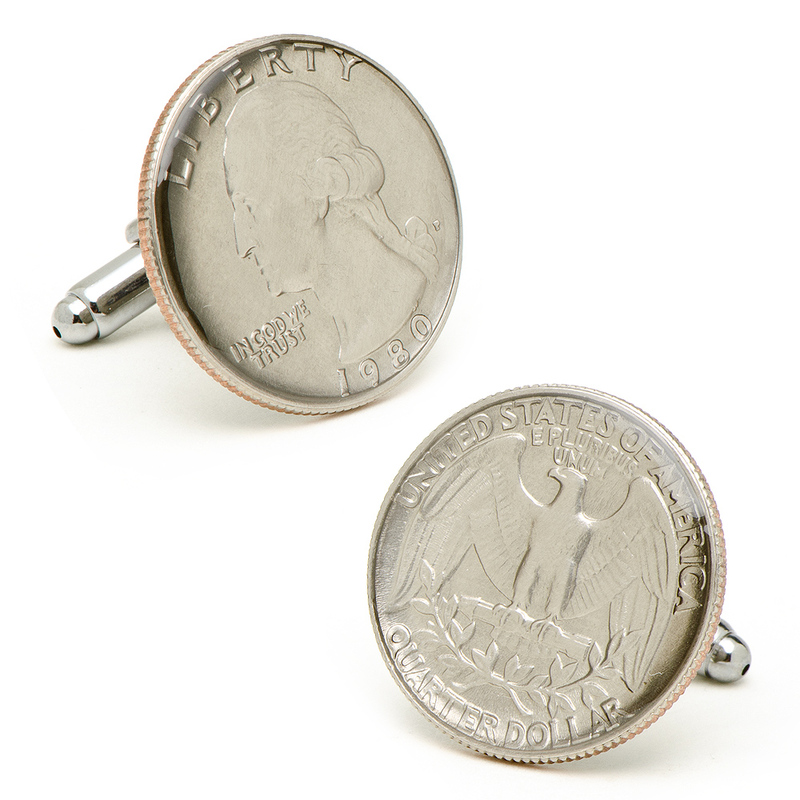 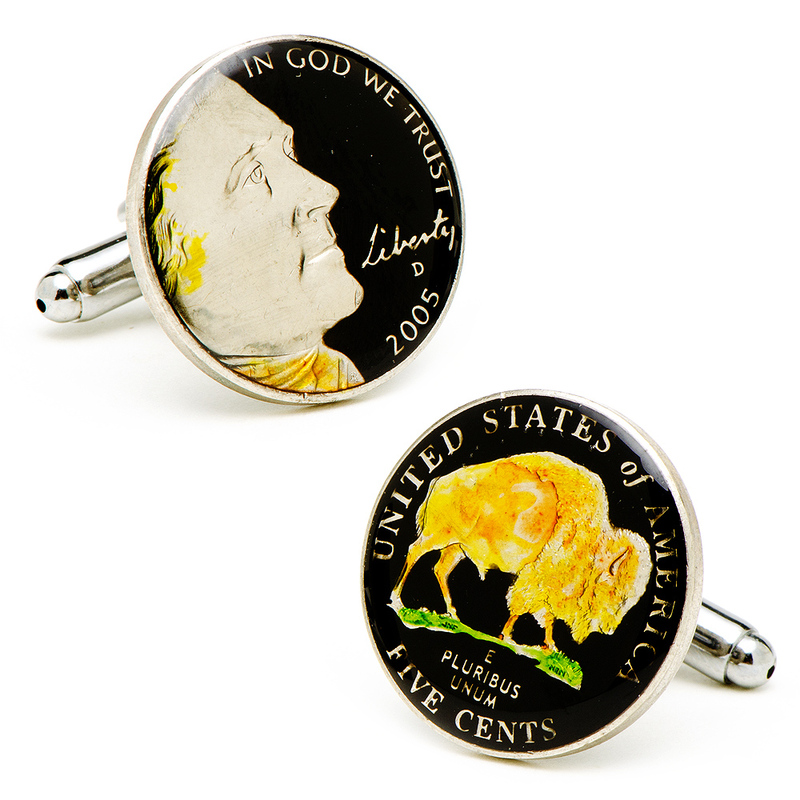 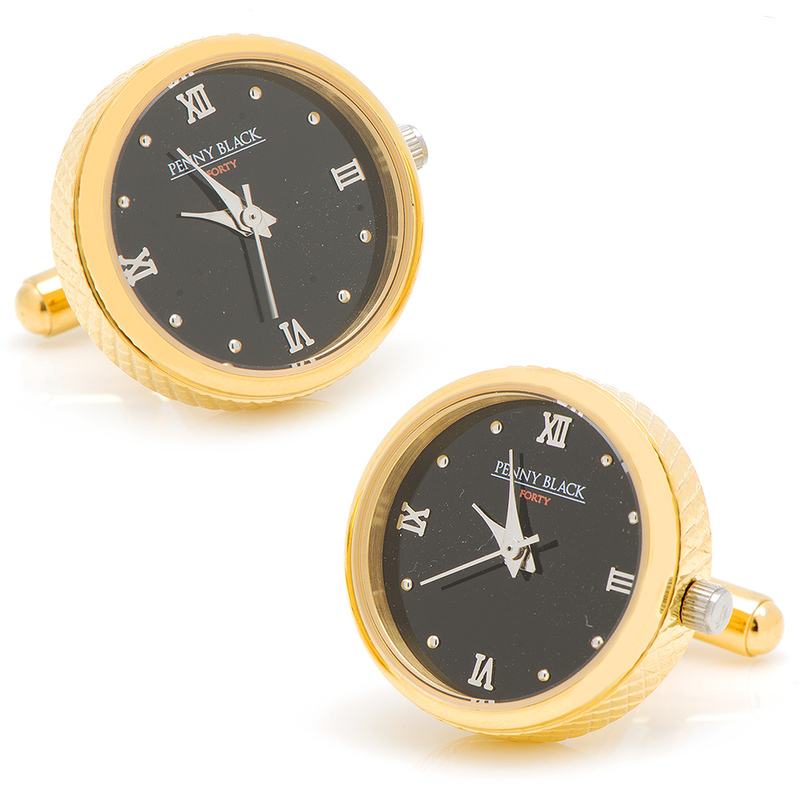 The USA Quarter Cufflinks by Penny Black 40 are clean and stylish to wear with your suits. 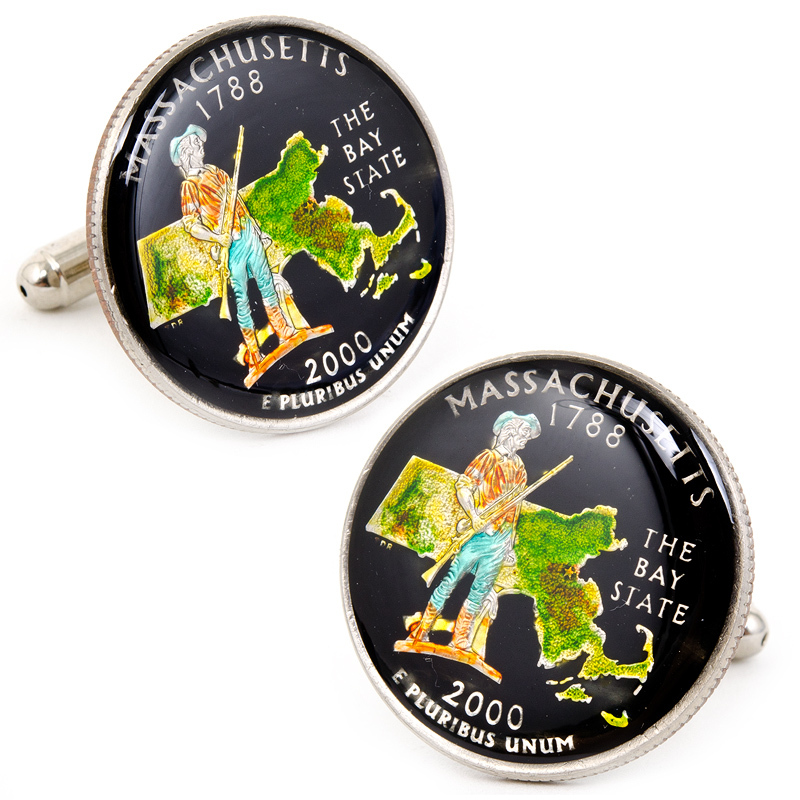 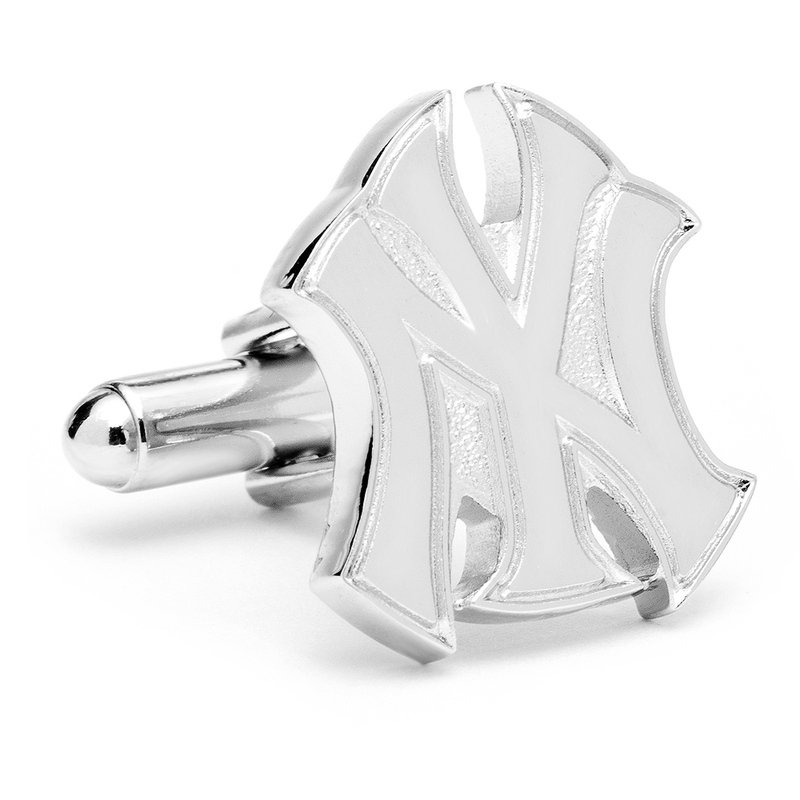 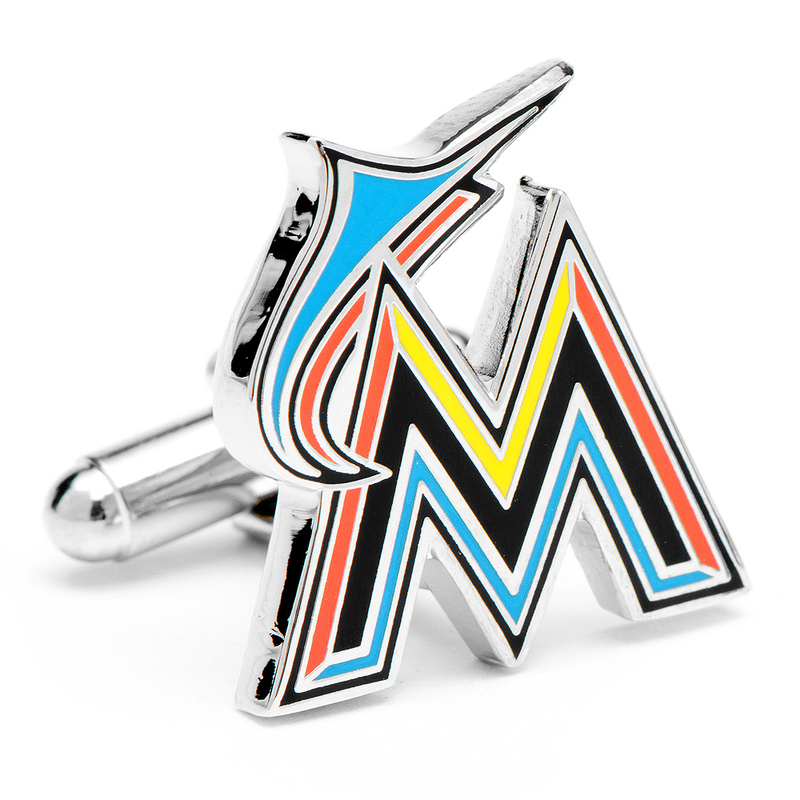 They are 5/8" in diameter and are Silver plated on a US Quarter with enamel. 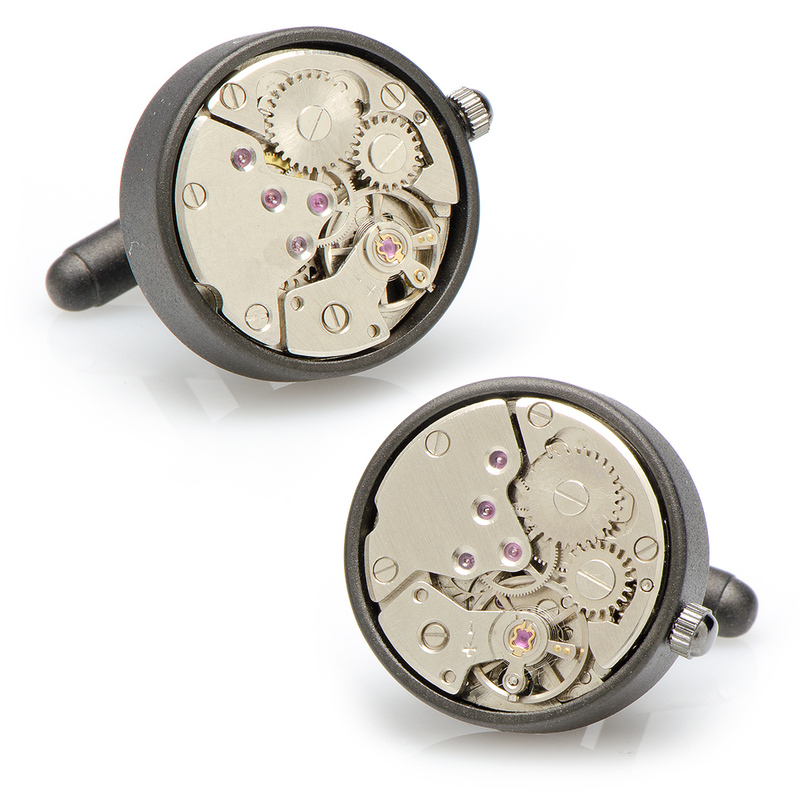 Fasten them to your cuffs using their bullet back closures.